A teaching tool for breaking down a complicated concept into bite-sized, digestible pieces. 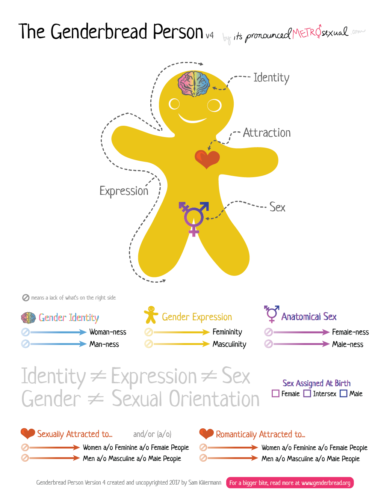 A printer-friendly version of genderbread person 3.3. Formatted to be printed on U.S. tabloid size paper (11″x17″), but high enough quality to be scaled significantly larger.